At Tally Energy Services, we focus on the economics of North American shale development. We know operators need real, fit-for-purpose solutions that effectively increase recovery while lowering operational costs. In short, solutions that add up. Shale has evolved significantly over the past decade. The ever increasing demands of today’s shale development require a fresh, pragmatic approach. Our goal is to grow innovative businesses by focusing on the areas that most profoundly affect success: directional drilling, completions, and artificial lift. The most elaborate solutions aren’t always the most effective. They can be logistically cumbersome and economically challenging. Tally Energy Services provides technical products and services that are tailored for oil and gas wells in North American shale plays. Our solutions are based on a deep appreciation for subsurface complexity and operators’ financial objectives combined with strong execution capabilities. Combining this expertise with growth capital, we make good ideas even better; adding value to our customers in today’s environment. Tally Energy Services evaluates both established companies and new entrants to determine the best way to address unmet needs. 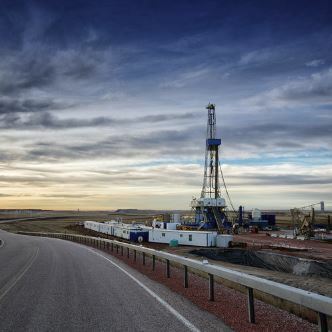 Through growth initiatives, mergers, acquisitions, and active management, we build complementary companies to advance North American shale development. By focusing on directional drilling, completions, and artificial lift, we can profoundly affect well results. Tally does its homework, evaluating every aspect of an acquisition opportunity to ensure mutual alignment. We invest long-term capital to transform innovative companies through product and business development, and operational improvement. Significant flexibility in our investment mindset allows us to pursue a wide range of opportunities and strategically integrate businesses over time.